Noor Mohammed Hassanali was born on August 8th, 1918. He was the sixth in a muslim family of seven children. He was married in 1952 to the former Zalayhar Mohammed. They have two children, Khalid and Amena. President Hassanali went to Canaan and Corinth Presbyterian primary schools and then to Naparima College San Fernando. In 1937, he obtained a Higher Certificate in Latin, Geography, English and French. He was one of two students of the First Naparima College Higher School Certificate graduating class. 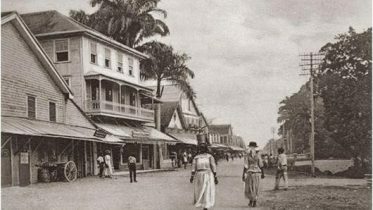 Prior to attending University between 1938-1943 he was a member of the teaching staff at Naparima College as French, Sports and Resident master. Mr. Hassanali attended the University or Toronto, Canada between 1943-1947. In 1947 he received a Bachelor of Arts degree in law. He was called to the English Bar as a member of Gray’s Inn, London, England in June 1948. In August 1948 he was admitted to practice law in Trinidad and Tobago. During the period 1948-1953 he went into practice as Barrister-at-Law in Trinidad and Tobago. Between 1953-1960 he served as magistrate in Victoria, Tobago, St Patrick, Caroni and St George West districts. In January 1960 he was appointed Senior Magistrate in Trinidad and Tobago. On 1st February 1965 he was appointed assistant Solicitor General in Trinidad. On 1st March 1966 Mr Hassanali was appointed Judge of the High Court of Trinidad and Tobago. On June 1st 1978 he was appointed Justice of Appeal of the Supreme Court of Trinidad and Tobago. In October 1985 Mr. Hassanali was Master of the Moots, Hugh Wooding Law School. In November 1985 he was a member of the Judicial and Legal Service Commission and in December 1985 he was a member of the Trinidad and Tobago Defense Force Commissions Board. He was the second President of the Republic of Trinidad and Tobago between 1987-1997. 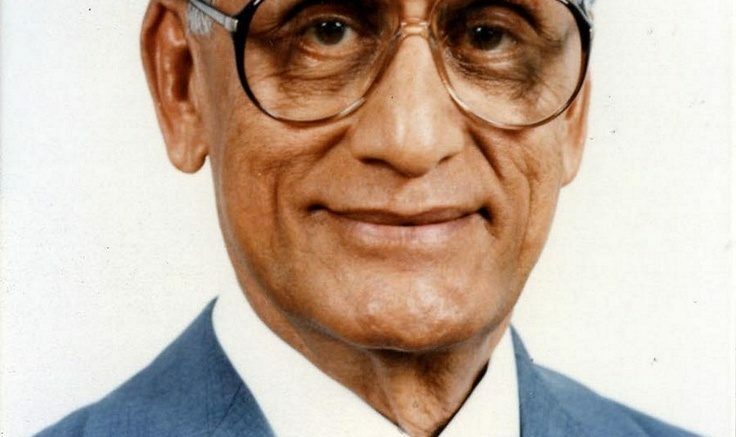 A retired High Court Judge, President Hassanali was the first Indo-Trinidadian to hold the office of President and was the first Muslim Head of State in the Americas. He came to the presidency of the Republic of Trinidad and Tobago with a reputation among colleagues for honesty, humility, dedication and for the consideration he always showed for legal practitioners while he served as a judge. In 2003 he published a book of his speeches entitled Teaching Words in conjunction with the Naps Charitable Foundation. In Trinidad and Tobago between 1948-1960 Mr. Hassanali was a member of Naparima College Administration Board. He was one of the former footballers awarded Certification of Honour by the San Fernando Borough Council for contribution to football at Skinner Park. He was also a member of the Executive Council of Northern President of National Scout Association for the term 1975-1977. 1 Comment on "NOOR HASSANALI (1918-2006)"
I remembered the picture posted up at Arima Girl`s Government School 1991,when i was a child at school.